Under Armour (NYSE:UA, UA.C), the originator of performance footwear, apparel and equipment, revolutionized how athletes across the world dress. Designed to make all athletes better, the brand’s innovative products are sold worldwide to athletes at all levels, including at 168 owned & operated stores in North America. Before deploying ServiceChannel, Under Armour’s facilities management process was largely a “pen-and-paper” operation, creating major issues for the 2-person FM team responsible for the owned & operated stores in North America. Read more about the ServiceChannel solution and results in the Under Armour case study. Kristin Buhler has walked the walked. Long before she joined ServiceChannel, Kristin was in retail management. When something needed fixing or maintaining, Kristin says, “We did it ourselves or pulled out the Yellow Pages.” So who better to make sure that ServiceChannel’s clients and contractors receive the best possible support each and every time they reach out for assistance. 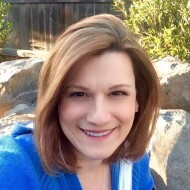 Kristin has been a Support Manager at ServiceChannel for the past four years. When the opportunity came along to join the ServiceChannel team, the timing couldn’t have been better. With experience that also included office management and lots of volunteering at her children’s schools, Kristin was ready to take on a new experience doing what she loves best: helping others. Kristin draws extensively from her retail background. “As a retail manager we always strived to gain that repeat customer, make sure they always left the store feeling great about their shopping experience. That fundamental philosophy of doing whatever you can to make the customer happy, carries over in everything I have done since and continue to do today,” says Kristin. Today Kristin knows she’s succeeded when she takes someone from “I just don’t understand how to do this” to “Wow, ServiceChannel is going to make my job so much easier”. That moment of everything coming together is the ultimate gold star. 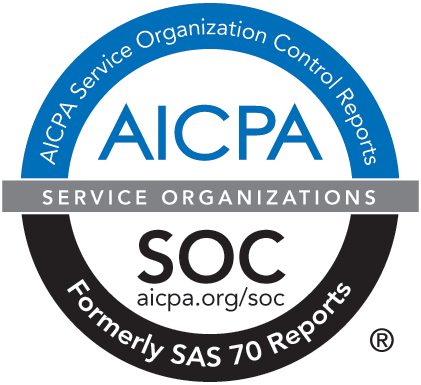 ServiceChannel recently completed its 2017 SSAE16 SOC1 Type II audit review and achieved the highest level of certification. An independent auditor examined ServiceChannel’s processes, procedures and controls to confirm we protect your data. Some of the areas covered include Transaction Processing, Invoice Creation, ACH File Processing, Information Security, Computer Operations, Change Control, Security Systems and much more. For more information please see full press release. To obtain a copy of the 2017 report please send an email to compliance@servicechannel.com. Check out the latest video testimonials from Louis Vuitton, Brightside Academy, and Curo Financial. Learn how they operate their facilities with the help of ServiceChannel. Watch the customer video stories. Check out our Events Page for more local events near you! LearningChannel is composed of interactive courses led by expert instructors on ServiceChannel products. These courses are perfect for when you need a refresher, when you have a new employee onboarding, or when you want to learn best practices to get the most out of our products. Each course lists the skill level necessary (from beginner to advanced) and the target audience, so you can mix and match courses based on your needs.